Shane Hurlbut, ASC is one of my favorite DPs and his blog is filled with fantastic tips and advice for DSLR filmmakers. One of the things that is so encouraging is to see Shane being so open and candid with his audience. So many professionals are too afraid of keeping their shooting style to themselves. I have always tried to be very open with my own experience (whether much or little) as seen in our NextWaveTV and Cinematography Tips videos….which is why it’s so encouraging to see a seasoned professional giving so much of his time and energy to help the community. 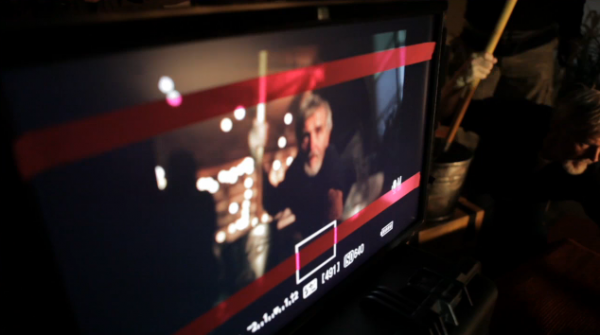 Shane recently shot a wonderful short called The Last 3 Minutes using the Canon 5D MkII. After he posted the video, he encouraged people to check back for some BTS videos. I come across a lot of BTS videos and posts which I always enjoy, but very few stand out to me. However, in this video, Shane does a fantastic job of taking us through his entire process. And the best part? …there are more videos to come! Click here to watch the Making of The Janitor Sequence. Click here to watch the Making of Overview.